Korg Forums :: View topic - Should Korg recreates miniature Hardware version of Korg M1? Posted: Thu Jan 11, 2018 11:36 pm Post subject: Should Korg recreates miniature Hardware version of Korg M1? I personally think Korg should recreates the hardware version of Korg M1 in small form factor just as Roland & Yamaha did by releasing D-05 and Reface Dx. We all know that legendary M1 is going to complete its 30 years in 2018. So many of us would love to mark the celebration with new hardware replica.All hardware synth lovers are invited to cast their votes according to their wishes. Rerelease the rack I reckon. Saves space. M1REX2. Give it 1000 slots for Progs and Comnbi's. Add new waves. Increase polyphony and timbre count. Add 1 analogue filter and 1 analogue envelope so to effect a Poly800/EX800 emulation. The Mono/Poly should be achievable using a Prologue in unison mode for the lead sound of the Mono/Poly. Not going to happen. They already do the software version, and the pathetic buttons plus one fader interface has been largely abandoned by synth makers for a very good reason. 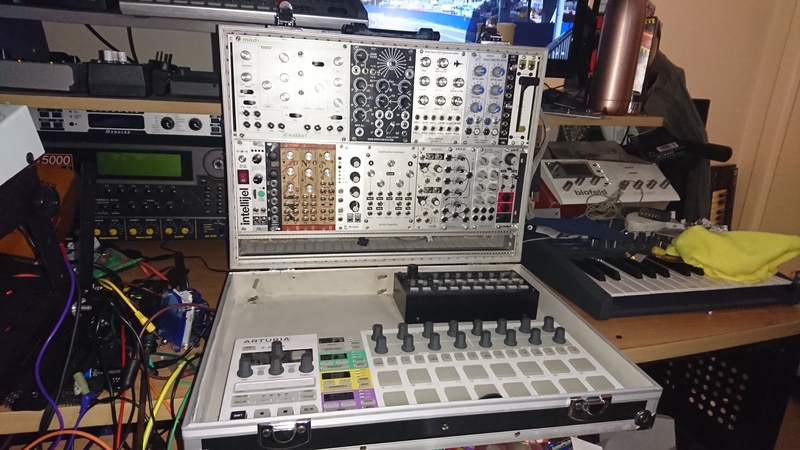 Yes I am full aware of how hard it is to paint a house through the letter box, I did it for the 10yrs my M1 was my only polysynth. Given how great the iPad iM1 app is and how cheap the App was, I'd much rather see KORG release a midi controller that you can put your iPad into. Good idea. I really don't like using mobile devices for making music on for the same reasons I wish the touch screen phone was never invented; I like to press a key and feel it work. I've tried many synth apps on my phone thinking I'd get into it the same way I did with when I had 3 DS-10's, but the DS has buttons and is not exclusively controlled with a stylus and even a stylus seems more tactile than a touch screen and more accurate than a chubby old finger.